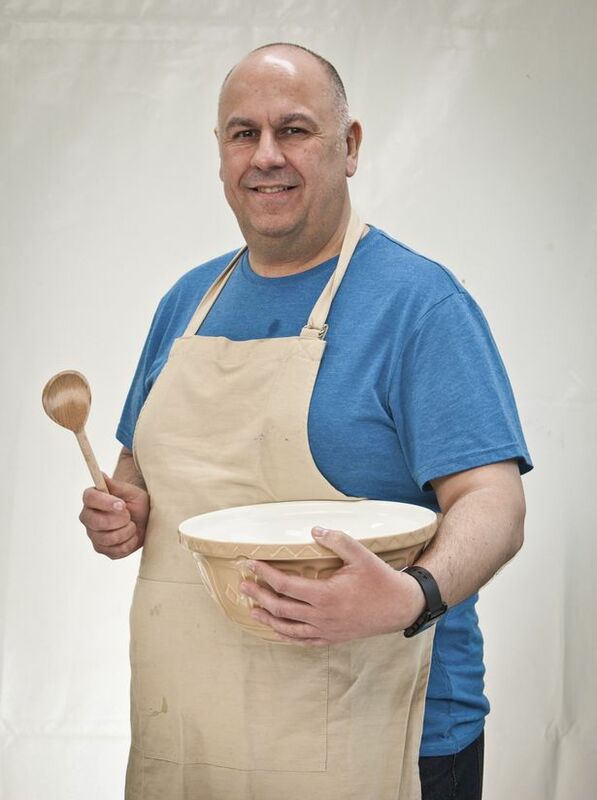 As most of you reading this will know, Luis Troyano took part in the 2014 series of the Great British Bake Off and was in the final along with Nancy Birtwhistle (who won) and Richard Burr. Luis is now a published author – his book is called “Bake it Great” – and he will be appearing at the BBC Good Food Bakes and Cakes Show in London, which this year runs from 13th – 15th November. The nice people at the Bakes and Cakes Show have kindly given me two FREE TICKETS that followers of my blog can win (more about that later). In order to tempt you even further, they also gave me one of Luis’s delicious recipes from his book to share with you. So please read on to see how you can ‘bake it great’ like Luis and enjoy a delicious bread made with – * drools * – chocolate hazelnut spread. This is a stunning, delicious chocolate and hazelnut tear and share loaf. If you don’t have a jar of chocolate hazelnut spread handy, you could use jam or marmalade. You can even make a savoury version with a pesto and feta cheese filling. In fact, you can fill it with anything you like as long as it’s not too wet. It looks complicated but is actually very easy to do. I would usually make the dough and prove it overnight in the fridge for improved flavour, before finishing the loaf the next day. But you can make it all in one day if you prefer. A baking sheet; mine is aluminium and measures 38 x 32cm. Add the boiling water to the milk to give you a warm liquid. Place the flour, yeast, salt and eggs in the bowl of a kitchen mixer fitted with a dough hook. When adding the yeast and salt, place them at opposite sides of the bowl. Add two-thirds of the liquid and begin to mix it all together. Add more liquid gradually until all the dry ingredients are picked up and you have a soft dough. You may not need all of the liquid. Mix for about 8 minutes. You will work through the wet stage and eventually end up with a smooth, soft, silky dough. With the mixer still on, gradually add the butter in thumb-size pieces until it is all incorporated and the dough is smooth and shiny. Lightly oil a large bowl and place the dough in it. Cover it with cling film or a shower cap and leave it on one side until doubled in size. Depending on your room temperature, this can take 1 hour, but it’ll be fine for 2 hours. Find the largest round plate you have that will fit completely on your baking sheet. When the dough has proved, tip it out onto a lightly floured surface (I use rice flour). 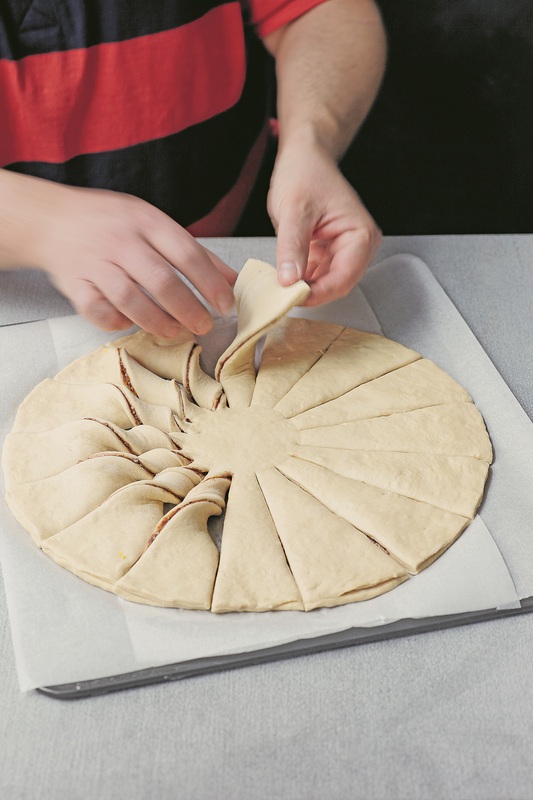 Fold the dough over on itself several times to knock the air out of it. Divide the dough into two equal pieces. Roll out one half of the dough on a piece of non-stick baking parchment into a circle just a little larger than your plate. Place the plate on the dough and trim around it with a knife. Roll out the other half of the dough on a lightly floured surface and trim to the same size circle. Carefully place it over the chocolate-covered dough and press to seal around the edges. Get a small bowl with a diameter of about 12cm and make a light imprint in the centre of the dough circle. Using a sharp knife, cut 16 equally spaced slices up to the circle imprint. The easy way to do that is to cut four evenly spaced, then another four in between those and so on. Gently lift each slice, spin over twice and lay back down. This will give you the amazing pattern. Twisting in one direction only will give you the pattern depicted in the photograph on page 110. Twisting each alternate section in opposite directions will give you the pattern depicted on page 111. Slide the whole thing onto the baking sheet. Place the baking sheet inside a large bag to prove. Make sure the bag doesn’t touch the dough. Prove again for about an hour until doubled in size. Preheat the oven to 200°C fan/220°C/ 390°F/gas 7. Place your rack just below the centre of the oven. Bake the bread for about 20–25 minutes until golden. Warm the apricot jam and brush it over the hot bread to glaze it. 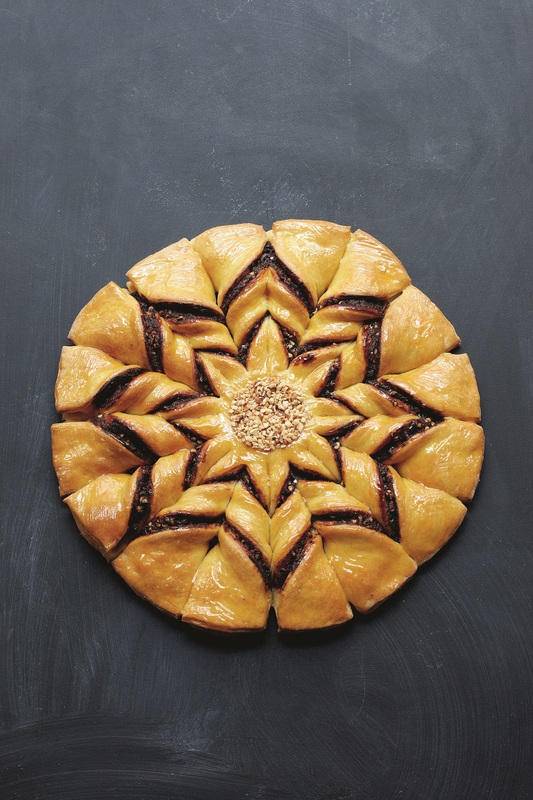 Sprinkle some chopped hazelnuts in the centre circle of the loaf – use a pastry cutter to sprinkle into and get a perfect circle of nuts. Eat warm or cold. Luis Troyano’s new book Bake it Great – Pavilion is out now. Recipe image credit to Clare Winfield. Luis will be cooking live on stage at BBC Good Food Shows this Autumn. 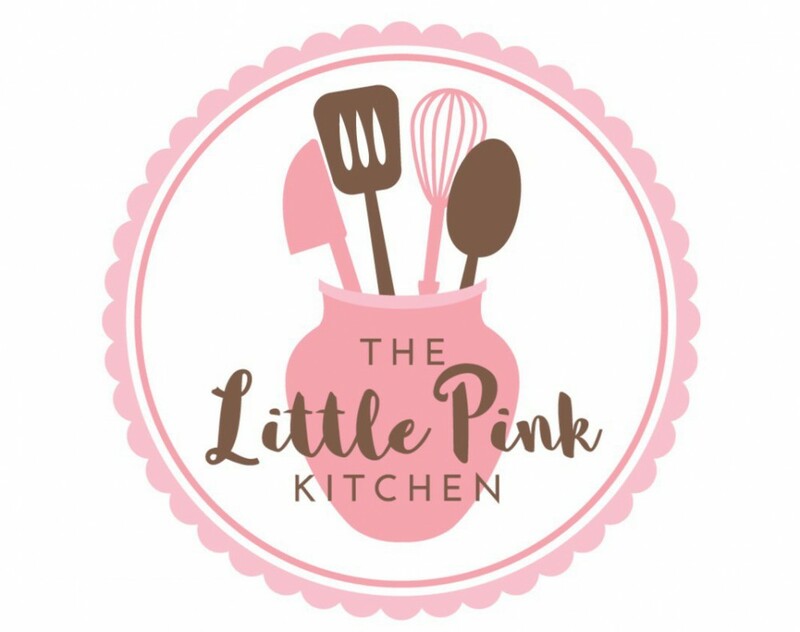 If you want the chance to win TWO FREE TICKETS to the BBC Good Food Bakes and Cake Show in London, you’ll need to FOLLOW my blog and my Twitter account @TheLittlePK and then you’ll be entered into a draw. I’ll announce the winner on Sunday 1st November 2015 via Twitter. The tickets can only be posted to a UK address – the winner will need to provide me with this (it won’t be shared with anyone else).